Here you can find a brief overview of some of our technologies and what makes us unique in the world of drum manufacture. All of our technologies can be seen and experienced in our product range – but it doesn’t just stop there. 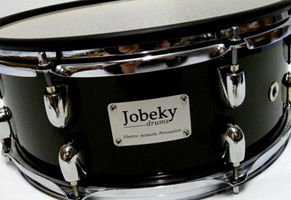 Jobeky has a reputation for engineering innovative solutions to today’s drumming problems, and we’ll continue to innovate with the next new generation of our custom drums. Our patented JDT free-floating isolation mount supports our unique ERT triggering system in all of our Toms and Snares. ERT is designed to eliminate crosstalk, resonant effects and unwanted articulations from the intended waveform so that the drum module triggers only for genuine strikes. The result? 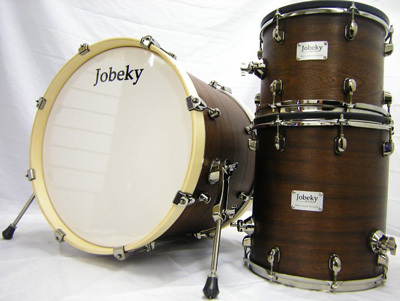 Clean, crisp, clear triggering, with unmatched dynamic range and playability across all of our drums! Any technique, any grip, it just works. Playright is a package that combines our second generation technologies designed to ensure accurate bass drum triggering at any playing speed, by eliminating the double-triggering phenomenon that’s associated with some electronic bass drums. We have taken a number of unique steps in order to couple this reliability, with the feel, playability and full range of sizes that our customers demand, and the result is a flawless playing experience. 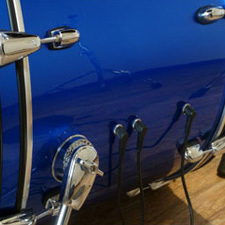 Every travelling electric drummer knows that when you’re using an electric kit, cable management can become a bit of a head ache – especially if you’re trying to route cables around the front of your drumset. 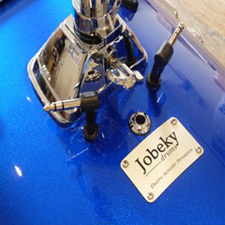 However, with our Wire-In-Wire-Out system, you don’t have to worry about compromising your image because our bass drums support an integrated cabling system that easily routes bass drum mounted tom cables into the bass drum itself, all the while hiding the connection from audience view. 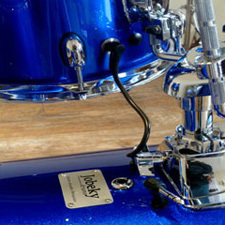 The wires for the bass drum mounted tom from the drum module then connect to standard 1/4 inch jack connectors at the base of the bass drum, enabling quick and efficient connections!